Oppo is currently getting a lot of attention after releasing a notch-less bezel-less phone, but that’s not the only phone the company has released recently. 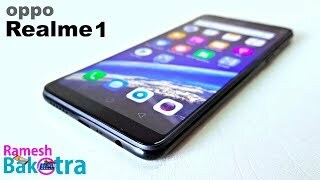 They are quite popular for their budget phones as well and the latest one from this company is the Oppo Realme 1. Realme is about to start working as an independent company and split with Oppo so it will be interesting to see what the phone is packing inside and the Oppo Realme 1 Cairo price. 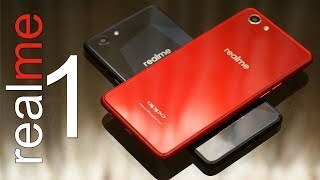 Starting from the packaging to its nice design, the Oppo Realme 1 looks nothing like a budget phone. However, the budget part of this phone is clearly visible once you take the phone in your hand. It’s plastic all around the display which is not really surprising as this is actually a budget phone. The elegant design on the back and multiple color options makes it a good-looking budget phone. It’s quite a big phone with a big display: 6.0-inch screen showing 2160 x 1080 pixels resolution, 18:9 aspect ratio and 402ppi of pixel density. It’s not really a near bezel-less display but the screen-to-body ratio is impressive nonetheless: 78.9%. It might remind you of the Samsung Galaxy S9 or S9 Plus. Like most of the other Oppo phones this one comes with a customized Android 8.1 Oreo with ColorOS 5.0. As the Oppo Realme 1 release date Egypt is already here, you can look for this phone in three different colors: Moonlight Silver, Diamond Black and Solar Red. It’s a budget phone we are talking about so this new phone from Oppo is not packing a dual camera like most of the recently released phones. Behind the phone, users will find a 13-megapixel camera with f/2.2 aperture and PDAF. It’s capable of capturing 1080p videos at 30fps. As the phone is packing a processor that can handle capturing 4K videos, it’s slightly disappointing to see the absence of this feature. The front camera is a good 8-megapixel one which also comes with f/2.2 aperture. You can also check out the OnePlus 5T and Asus Zenfone 5 if you are in the market for a phone with a good camera. These are slightly more expensive compared to the Oppo Realme 1 Cairo price. Usually budget phones pack entry level processors which are not good enough for handling any heavy stuff but things are different with the Oppo Realme 1. It’s packing a decent Mediatek MT6771 Helio P60 octa-core processor paired with optional 3GB/4GB/6GB of RAM depending on the storage option you choose. There are three storage options to choose from with this RAM: 32GB/64GB/128GB. A big 3410mAh Li-Ion battery is inside to power all these things up. Other notable features include: microSD card slot, Bluetooth 4.2 and a microUSB 2.0 port. There is also the Xiaomi Redmi Note 5 you can check out which comes a big 3790mAh battery. This is where things get really interesting, it’s price tag. 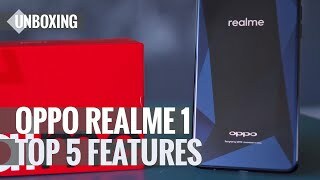 Oppo Realme 1 is currently available for only EGP 2500 . Considering the specs, design, display and camera, this is definitely a steal at this price. The realme 1 Mobile Phone is manufactured by Oppo and was added around August 2018 and is part of the Oppo RealMe 1 series. 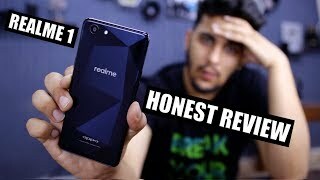 Oppo Realme 1 Honest Review in Hindi - 3GB Variant Best Hai..! 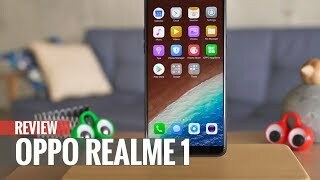 OPPO Realme 1 : After 2 Months Long Term Review ! 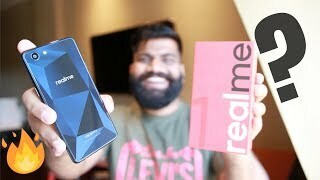 Realme 1 review - Performance, Gaming, test, camera, battery, the complete review!